Dark Sky launched for Android in May, 2016. We haven’t talked about it since then, not because it wasn’t a great weather app or it wasn’t getting updated, but it never really changed since the day it launched. Today, though, Dark Sky is getting a massive update to version 2.0, complete with a new UI, plus plenty of new features. 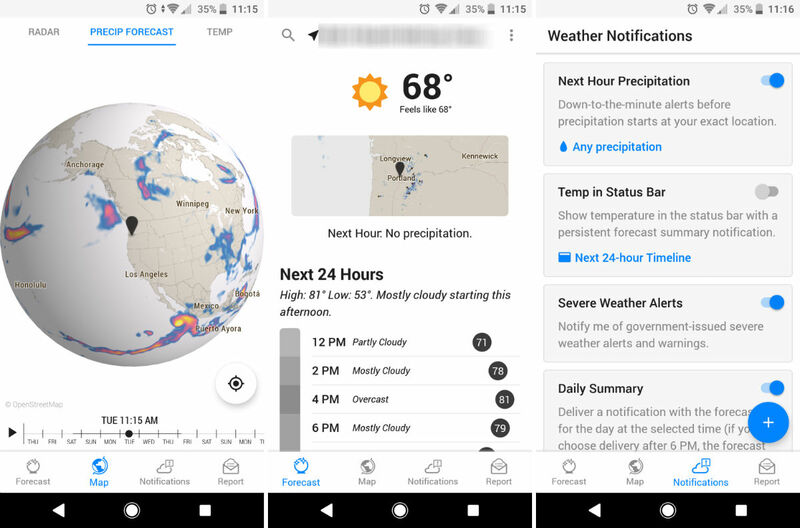 According to the changelog, users will find a unified Forecast tab with 24-hour and week forecasts, as well as the ability to save up to six locations for weather checking. Historical forecasts with Time Machine are inside, plus those hoping for landscape mode to finally come are in luck. The changelog also cites added support for notification channels and app shortcuts. Righteous. Here’s the entire changelog, followed by a Google Play link to get the update.